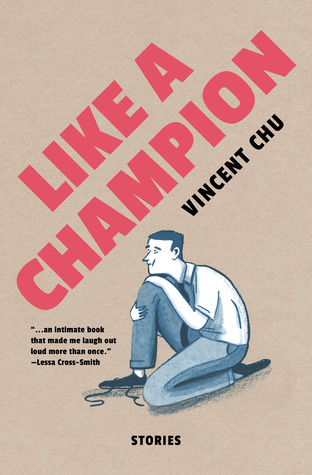 This entry was posted on Wednesday, February 28, 2018 and is filed under Book Review,Fiction,Independent Publisher,Like a Champion,Short Story,Vincent Chu. You can follow any responses to this entry through the RSS 2.0. You can leave a response. Yay for beating the reading slump. This sounds perfect to keep by my bedside for those nights where I finish a book, but still want to read a little more. The stories are all pretty short, so this would be perfect for that! I am not a huge fan of short stories (or novellas for that matter), because they always tend to leave me wanting more, but I loved hearing why you enjoy them. It's awesome that you know how to get out of your slump. They are the perfect little bursts of reading to help me move along! This is a great idea to get out of a reading slump. I have a reading schedule I try to adhere to which usually only gets rumpled if the book I'm reading is huge. But last year, I hit a big reading slump. Two months solid. Don't know what happened. Great review! It was actually a multi-month reading slump that inspired me to set my book a week goal and start the blog! Oh I love the idea of celebrating everyday victories, even the small ones! Glad to hear you enjoyed this. And that's an interesting idea for getting out of reading slumps, maybe I'll have to try that! It always works for me, especially when they are great stories! Oh I know! I know! I’m the queen of reading slumps! short stories is a great tactic! For is paranormal romance! Don’t know why but it works EVERY time! Lol glad to see u enjoy this one! I never thought of a particular genre to get me out of a slump. There are definitely some authors who I can usually rely on though! You're right, everyone falls into a reading slump from time to time, but it sounds like you have mastered the art of escaping them! I actually used to really dislike short story collections but I recently was able to read one I really loved!! I've been on the lookout for more to try, and this one sounds so good. I've gotten more into them recently!